Currently new circus is really flourishing, delivering fantastic productions to the most prestigious venues all around the world: veritable melting pots of artistry, dance, music and video art. Spectacular entertainment is giving way to storytelling, whilst the revue yields to a dramatic concept. For you, Cirque Noël 2018 presents three of these outstanding pieces, bringing together virtuoso artistry, unforgettable images and a plethora of music and passion. The Australian group, Gravity & Other Myths, returns to the Orpheum, having delighted one and all last year with “A Simple Space”. “Backbone” is their new piece, which is all about the themes of strength and willpower and shows how contemporary circus can look when it’s at its best. 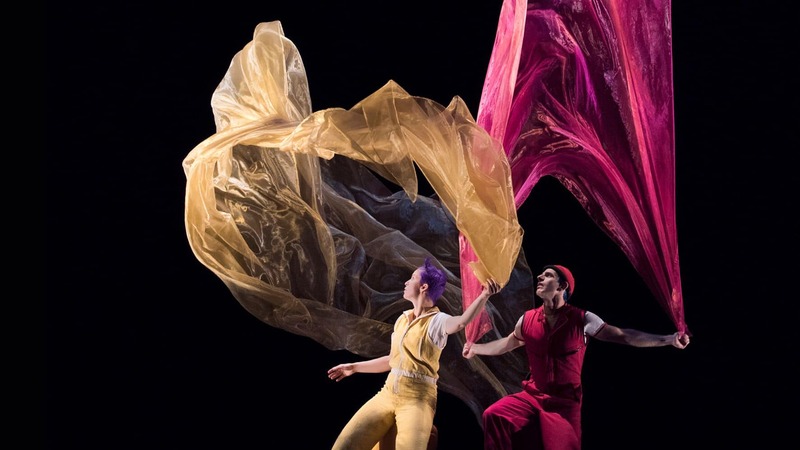 Kicking things off at the Helmut List Hall is “Air Play”, an enchanting production by the duo of American artists, Acrobuffos. With floating airborne sculptures, giant balloons and a composition of artistry, theatre, music and clown performance, this ode to childhood captivates everyone, both the truly and the forever young. Then, ensuring a rousing launch into the new year comes the production “Scotch and Soda” by Company 2, an extremely exciting cocktail of world-class artistry and live music ranging between jazz and 1920s Varieté.